South Australia Police have announced that they have temporarily withdrawn hand-held speed detection analysers (Lidars) from use. With this withdrawal comes the decision to also withdraw 125 prosecutions for speeding offences involving Lidars currently before the courts. What’s going on? This effectively all began in 2016 when Justice Stanley sitting in the South Australian Supreme Court handed down his decision in Police v Butcher. In that case, Mr Butcher had been charged with two speeding offences having been detected doing 102km/hour in a 50km/hour zone. SAPOL used a hand-held speed gun (a Lidar) to detect the speeding driver. At the trial before a Magistrate, SAPOL sought to rely on a Certificate of Accuracy to prove that the Lidar was accurate within the approved range. In accordance with the Australian Standards, the Lidars must be calibrated every 12 months to be accurate within a margin of error of +2/-3 kilometres per hour. In accordance with section 175(3)(ba) of the Road Traffic Act a Certificate of Accuracy is proof, absent any evidence to the contrary, that the Lidar was accurate within the approved range on the day on which it was tested, and in the case of the Lidar, the day after as well. A Certificate of Accuracy is provided by a senior Police officer after being presented with the results of the five step test that must be carried out by officers at the beginning and end of each shift. The legislation creates a presumption that when a Certificate of Accuracy is issued, the Lidar, or other speed detection device, is accurate within the approved range of error unless the defendant can prove otherwise. The problem arises here. The five step test performed by officers twice daily does not in fact test to ensure that the Lidar is accurate within the range of error. The yearly calibration tests for this. Therefore because the calibration does not form part of the twice daily testing but instead happens yearly, the Certificate of Accuracy cannot prove that the Lidar is accurate within the approved range of error because the test that would establish this did not occur on that day or the following day as required by the Act. A Magistrate at first instance acquitted Mr Butcher on the basis that without a valid Certificate of Accuracy the charges were not proven beyond reasonable doubt. On appeal, Justice Stanley upheld that decision on the basis that the testing to prove that the Lidar was within the range of error did not occur on the day indicated in the Certificate of Accuracy, and therefore the Certificate was unable to prove that the Lidar was in fact accurate. The Police failed to establish the accuracy of the Lidar in any other way. This approach was then adopted by Justice Peek in three separate cases earlier this year. In all three cases, the respective drivers had been found guilty of speeding offences by a Magistrate and had subsequently appealed. Justice Peek clarified that the drivers did not need to prove that the Lidar was in fact inaccurate, but had to show that the issuing of the Certificate of Accuracy in accordance with the legislation could not show that the Lidar was accurate within the approved range of error. His Honour went on to find that the five step test failed to satisfy the necessary testing to show that the Lidars were accurate within the range of error on the day in question, and that the evidence was otherwise incapable of proving the charges. The drivers in all three other cases had their charges dismissed. The consequences of these decisions is that the Police are presently unable to satisfy their evidentiary burden, ie to show that the defendant was in fact travelling at the speed alleged in contravention of the law, using the Certificate of Accuracy in the way it is currently issued. SAPOL has withdrawn the Lidar devices whilst it considers how best to deal with the current gap in the requirements of section 175(3)(ba) of the Act, and the actual testing process that occurs on a daily basis. Police say that other speed detecting devices are unaffected and still very much in operation, nevertheless as these cases demonstrate, if you have been fined for speeding and you don’t believe that you were it is important to get legal advice. 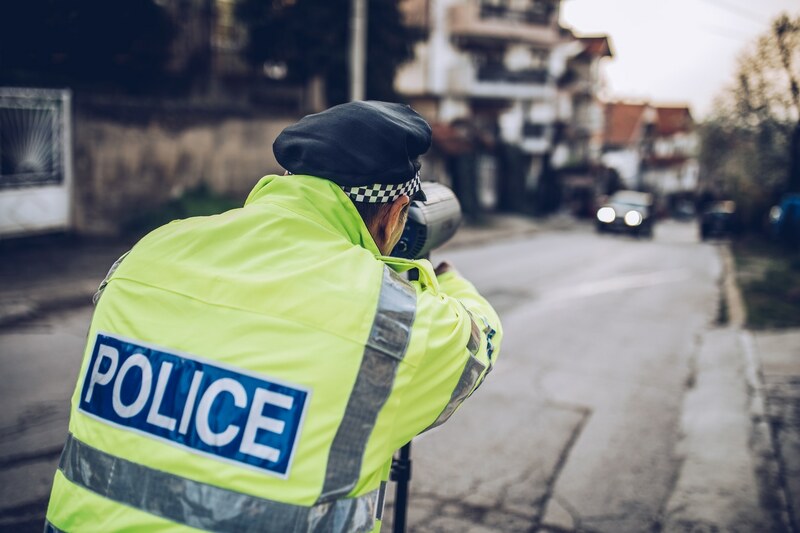 If you have received a speeding fine by a Police officer you should contact one of our specialised criminal lawyers here at Websters Lawyers for advice on what you can do. You can arrange a free first consultation by calling us on 8231 1363 or you can send an enquiry on line here.